Discover the Magic of Nature: Just in Time for the Holidays! 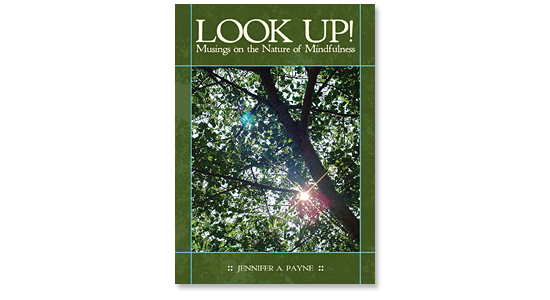 Offered as an antidote to the fast pace of our lives and the toll it takes on our minds and spirits, LOOK UP! Musings on the Nature of Mindfulness is a clarion call to get up and get out — to look up from our work, our distractions, our routines — and to find our way back to the simple pleasure of being in Nature. 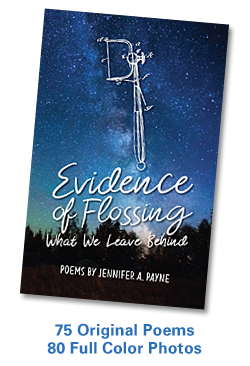 Written by writer and poet Jen Payne, LOOK UP! includes 75 essays and poems, 100 original, color photos of the woods and shoreline of Connecticut, and quotations by philosophers, poets, naturalists, and treasured writers. This entry was posted in Art, Books, Poetry, Publishing, Writing. Bookmark the permalink.